A research partnership between Dining Services and Priscilla Connors, associate professor, and Jodi Duryea, senior lecturer, faculty from the Department of Hospitality & Tourism Management, exemplifies UNT’s leadership in providing sustainable dining venues and faculty innovation in food studies. Nationally recognized for Mean Greens @ Maple, a full vegan dining hall, UNT Dining Services administrators, and HTM faculty were invited to join Menus of Change University Research Collaborative a working group of scholars, foodservice business leaders, and chefs committed to moving U.S. campuses toward more sustainable, healthy food choices. Launched by Stanford University and the Culinary Institute of America, MCURC jump-starts foods research by sharing ideas, pilot-testing innovations at multiple sites, and engaging students in the process of systematically investigating issues of food choice and waste. Dr. Connors recently collaborated with Dr. Bosso of Northeastern University in pilot testing messaging designed to reduce casual waste, or food selected and not consumed. While posters were used to persuade Northeastern students, Twitter is the medium used at UNT. Connors and Duryea also collaborate with philosophers, historians, and anthropologists at UNT. Both believe that changing the ways that America’s college students view food is a key avenue towards improving American food habits. Professor Connors joined UNT in 1998 shortly after completing her dissertation in childhood milk drinking behaviors. Since then her research has resulted in numerous publications in scholarly journals as well as presentations at professional conferences. She is particularly proud of a U.S Department of Agriculture funded project in which she worked with undergraduate students from HTM, Anthropology, and Communication Design, to record food choice and waste in middle school cafeterias. This year-long project resulted in more than 1,400 before-and-after images that documented what food middle school students were eating – or not eating – in the cafeteria. These Lunch Tray images are archived on UNT’s Digital Library, where they continue to contribute to scholarship and pedagogy worldwide. Professor Duryea joined UNT’s faculty in 2005 and is a Chef Instructor with a degree from the Culinary Institute of America and 10 years of experience in restaurants in New York City and abroad. She is pleased to be able to teach her students in a state-of-the-art facility, UNT’s Marriott Culinary Laboratory. In addition to her masterful teaching, she educates people across the globe through a series of remarkably popular video demonstrations of cooking and food preparation techniques. Click here for an example. Juli James, lecturer, Mayborn School of Journalism, joined UNT’s faculty just two years ago but already is doing remarkably innovative work. Over the years, journalists have used many different media to inform their readership. James works on the cutting edge of this ongoing evolution. Her area involves using game design to convey the story, allowing the journalist to highlight interactive aspects of the story in ways previously unimagined. She worked with journalists and journalism students in Arizona to produce a video game that places the user in the role of a veteran attempting to access services through the Veterans’ Administration system. This provides the audience with the possibility for a deeper appreciation of the obstacles and challenges America’s veterans face every day. Subsequently, James and collaborators built a game design web application for journalism called the Story Builder. The goal is to allow journalists to replicate the VA's Game design process quickly for other topics without needing a coding background. The project was funded by a $35,000 grant from the Knight Foundation. James also is examining how to take advantage of another feature of video games. Games can collect information about user experience, allowing designers to iterate games so that future versions work better. James is working to incorporate this type of data collection into the Story Builder app. She is passionate about engaging diverse voices in the game design process and in particular empowering women in this field traditionally dominated by males. She directs the Denton chapter of Women Who Code, an international non-profit whose mission is to inspire women to enter and excel in technology-related industries. She sees game design as an avenue into jobs in the tech industry and uses game-infused teaching in all of her classes. She also uses games to teach her students a valuable lesson about life: most games are winnable, but one may have to endure repeated failures first. Prior to joining our faculty, James served in the U.S. Army, including a tour in Germany as a broadcaster on the Armed Forces Network. 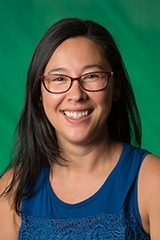 The National Science Foundation’s Faculty Early Career Development, CAREER, Awards support “the early career-development activities of those teacher-scholars who most effectively integrate research and education.” UNT boasts five faculty members with active CAREER Awards. 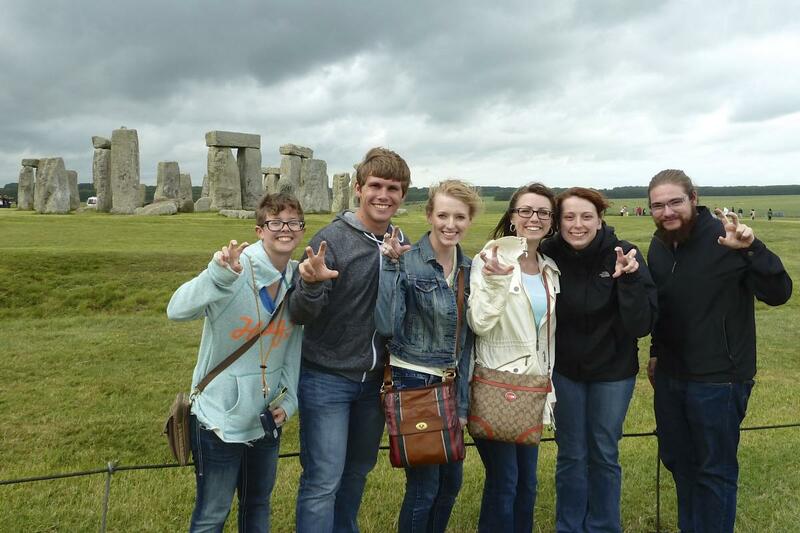 Lead a Study Abroad Program! 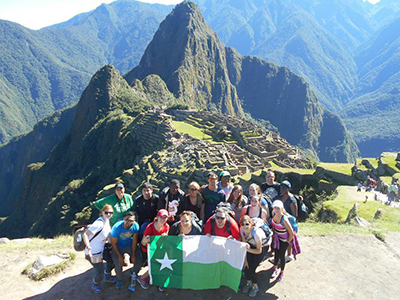 Each year hundreds of UNT students benefit from courses taught internationally. The Study Abroad Office is currently accepting proposals for summer 2018 programs. Visit the Faculty-Led Program Proposals to learn the requirements and how to submit. Applications will be accepted through July 15, 2017. Kate Jordan, study abroad coordinator, is available for meetings with faculty leaders to help clarify and refine ideas, manage logistics, collaborate with international institutions or program providers, or discuss UNT processes. You may know that the University Policy Office facilitates the development, review, approval, and maintenance of University-wide policies in partnership with policy owners. The UPO also is responsible for distributing University-wide policies and acts as the official policy repository. In this space, the Office for Faculty Success will keep you informed when new or revised policies of particular interest to faculty become official. Most recently, a newly revised version of the Student Academic Integrity Policy (06.003) was posted. The Faculty Senate also plays an important role in the creation and revision of academic policy. Read more about the Senate’s work. The Department of World Languages, Literatures & Cultures is very pleased to announce the launch of a Japanese Major in Fall 2017! UNT will be only the second university in the state of Texas to have a four-year Japanese degree. The major will include courses on Japanese language, literature, and culture enriched by many extra-curricular activities such as Study Abroad, cultural events, clubs and much more. Students will be supported by our strong Japanese learning community, on campus and beyond. Salute to Faculty Excellence • Oct. 20 • Mark Your Calendar! The date of UNT’s annual celebration of faculty has been set. Salute to Faculty Excellence 2017 is scheduled on Oct. 20, 201, in the University Union Ballroom. A reception will begin at 6:30 p.m., with dinner and the awards ceremony following at 7 p.m. Please come celebrate the achievements of UNT’s accomplished faculty, including recognizing faculty award winners and faculty recently tenured or promoted. Reserve your place. Congratulations to Kevin Yanowski, UNT Libraries, winner of last month's giveaway! As we move into the summertime, you may want to up your grilling game. 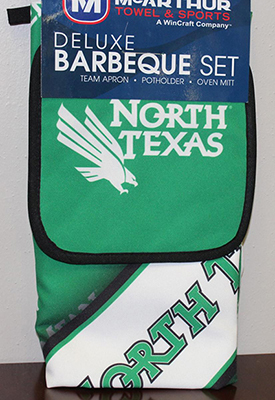 This month’s giveaway is a UNT-themed barbecue set that includes an apron, a potholder, and an oven mitt. Go, Mean Green! The drawing will be May 31; please register.